The 10th annual “Louisiana Seafood Cook-Off” was held in Lafayette, LA in the summer. 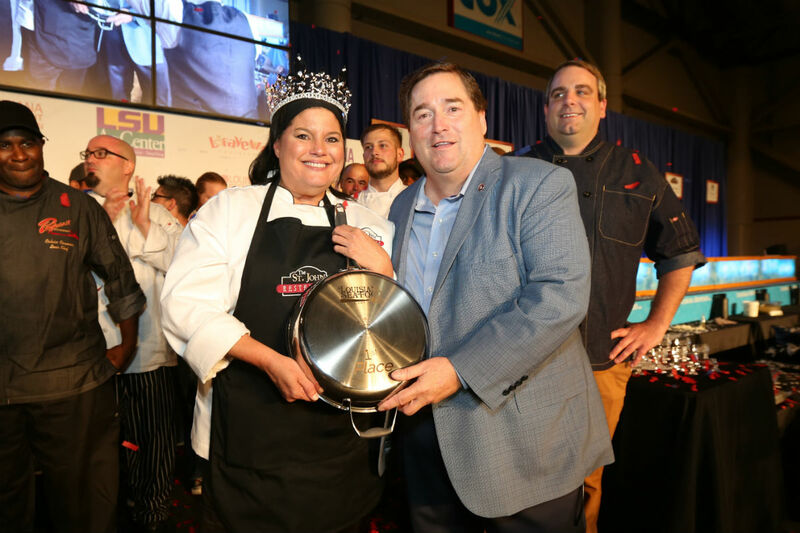 Twelve of the state’s top chefs battled for the prestigious title of King/Queen of Louisiana Seafood. Chef Bonnie Breaux of St. Martinville was crowned the first ever “Queen” with her dish of “Crackling-Crusted Black Drum”. We are proud to have organized all facets of this event, from soup to nuts! !